Cute premise but really more of a story about two people struggling in their marriage. I don’t want to say too much, but the mum was fine with motherhood, she just wanted more responsibility to be shared by her hubby. Loved the teenager in the story – Gibson must have a teen of her own because she wrote terrific teen dialogue – natural and smooth. The other characters were fine but maybe not as developed as they could have been – which would’ve been fine if I wasn’t searching for a good reason why the husband and wife weren’t getting along! Gibson provided some good laughs and poignant moments in this quick read. However, I settled for an “okay for now” instead of a happily ever after. The story was perhaps a little too realistic for this fluff-romance addict, and may be better suited for a reader who is going through their own difficult relationship. Sylvie and Dan try to spice up their marriage when it hits them that they have decades more of life together. In the midst of Dan working longer hours, Sylvie trying to save her employer from closing shop, and Sylvie still grieving for her late father, spicing up a marriage seems to be a tall order. Kinsella brings to the forefront quirky characters (and I didn’t always understand their motivations until a scene was laid out for me, truth be told), family secrets, and the myriad ways people love each other. Cute, fun rom-com that was light on character development but full of charm. A Girl’s Guide to Moving On is a REFRESHING look at getting over someone, developing a support system, and meeting new people. I so appreciated that Nichole and her mother in law Leanne leaned on each other and really loved each other. Making them live so close to each other was a little forced, perhaps, but it made the rest of the story flow: Nichole running into Leanne during a tough time, Leanne babysitting Nichole’s young son, etc. The ex-husbands are slimeballs, but I guess even slimeballs have redeeming qualities. 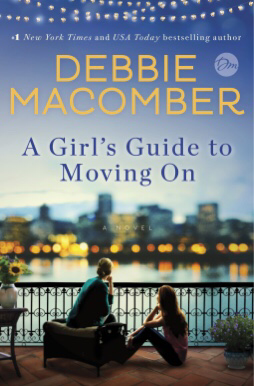 Macomber does a good job allowing for situations where the reader might sympathize with them, yet not quite take their side. As a romance fan who adores a good happily ever after, I’ll tell ya that Nichole’s friend Rocco was a terrific hero. He may not have outwardly shown sophistication or refinement on a regular basis, but he certainly demonstrated it at the end when it truly mattered. Likewise for Leanne’s friend Nikolai. Nikolai knew when to step back and when to step up, and I could’ve just cried over all the bread baking going on. Read it, you’ll see. You might want to start baking bread for – and breaking bread with – someone special, too. I loved this book about young newlyweds struggling to prioritize their marriage, children, employment, roots, and friendships. Dottie and Florine have a close, sisterly relationship based on honesty and support. Bud and Glen base theirs more on beer than honesty, and Morgan Callan Rogers outstandingly illustrates their desire to balance machismo and independence with responsibility and growth. I enjoyed seeing the men develop and regress, and then finally take the steps forward to become better men. The women change, too. Through the grace and lovingkindness of her mother in law, Florine discovers the best way to demonstrate love to Bud… without compromising her values. Dottie grows in confidence and is able to be her authentic self — and a happier person. 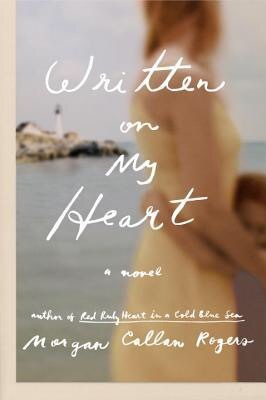 I adored this study on the ebb and flow of relationships, set in “local” down Maine. I liked the intertwined mystery, the ever-presence of Florine’s late mother, and the constance of children’s joy and a mother’s wisdom. 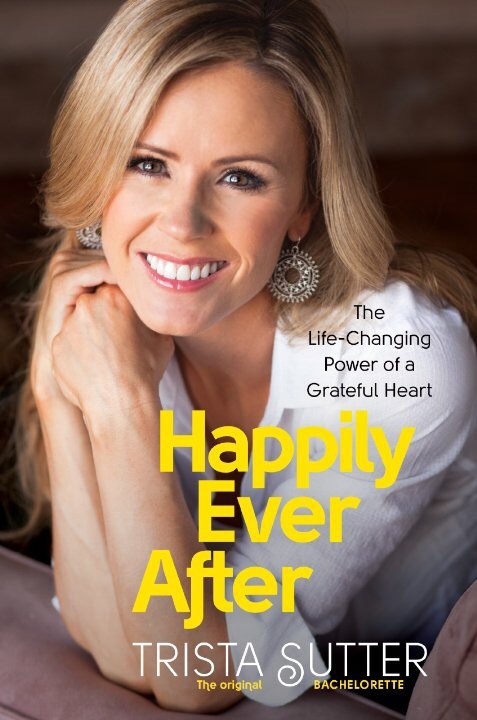 I’ve loved Trista Sutter’s warmth and authenticity since I first saw her on The Bachelorette. I don’t watch the Bachelor franchise anymore, but it satisfies me to see the first Bachelorette marriage succeed. Happily Ever After isn’t about finding happiness, or filling yourself up with something new to make yourself happy. It’s about taking another look at the life you have — the life you choose each day — and appreciating all of it: the rough, the easy, the sad, the joyful, the frustrating, and the tragic. We can’t see the full picture of our lives, because so much of our own life hasn’t happened yet. But Trista helps the reader look back at some of the bad times in order to see how they’ve contributed to the good things we have in life today. I have had experiences like that: being upset and jealous that my dad helped the neighborhood children (who didn’t have a dad). I didn’t have a lot of time with my father when I was young. When I did, I wanted him all to myself. But when he was home, he took the time to help fix bikes, pump up soccer balls, and smile at these three girls who didn’t have a father figure in their lives. I resented it. Fast forward 30 years when my father passed away, and those same siblings came over to shovels the snow from my mother’s huge driveway… In their words to repay my family for what my father gave them so many years before. Who knew that would come full circle? That’s the kind of memory that Happily Ever After evokes. Not seeing the blessing right away doesn’t mean it’s not there. Okay, so Happily Ever After takes it one step further: we need to be actively GRATEFUL for the people and events in our lives, trusting that things really do happen for a reason. Trista makes a case for writing thank you notes, letting your children make a mess once in a while (be thankful for their creativity and joy! ), and putting in the effort to maintain friendships. Trista’s anecdotes are entertaining. She tells of the ups and downs in her life with sweetness and peace. Her joy and honesty translate through the pages. Read Happily Ever After and be uplifted. I absolutely loved this book. 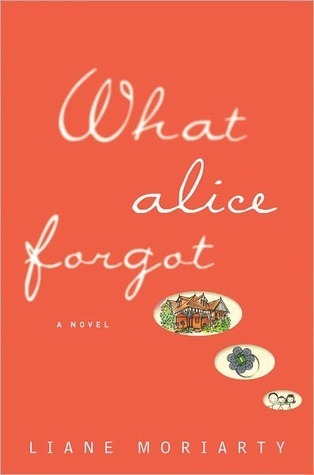 The scenario is simple enough….Alice bumps her head and wakes up and can’t remember the last 10 years of her life. Sounds simple enough, right? Wrong. Sure we can run into a friend that we haven’t seen for ages and judge them….how much have they changed….how much have they remained the same….are they thinner? Thicker? Do they act the same? Are they still lovely? Are they cynical? How much can someone change in ten years? How many life events can happen? But stop all that….forget about your husband, you children, your parents, your siblings, and your friends….let’s stop for a second and look at ourselves. Whoa….that’s right….how much have YOU changed in the last 10 years? How has the changes you’ve made effected how people perceive you? How has it effected how you perceive OTHER people? Not so simple now is it? We all know that people change…but it happens year by year….month by month….week by week…and day by day…..it happens so gradually that perhaps we don’t even realise it at all….until we wake up one day and ten years have passed….and we wonder…where did I go? But Alice has no idea why she has changed. Why people treat her differently….she has only the view of herself from ten years ago…she has none of the newer memories that changed her to explain why….so she is left wondering how this could have happened. She is left judging herself and trying to figure it all out. The novel gives you much to think about. The more you think about it, the more you have to think about. Imagine yourself 10 years ago…..now imagine your younger self looking at who you are today…with none of the knowledge of how you got there…..what would they see? WHO would they see? Would they be happy? Would they be a bit surprised? Disappointed? Would you feel confident that you had chosen the correct path and that you had made the right choices? If not, would you be brave enough to make the changes your younger self desired? Sure we have all heard that saying….”If I only knew then what I know now”…..but really what does that mean? If you know it NOW, why not do the best you can to rectify it? Why assume that just because it was in the past that it’s too late to change yourself and try to make things better? Do we just use sayings like that for an excuse to take the easy road and not make changes in our life? Again…so much to ponder here….I do believe I need to hurry up and read another Liane Moriarty book….this was pure bliss for me…. What FUN! 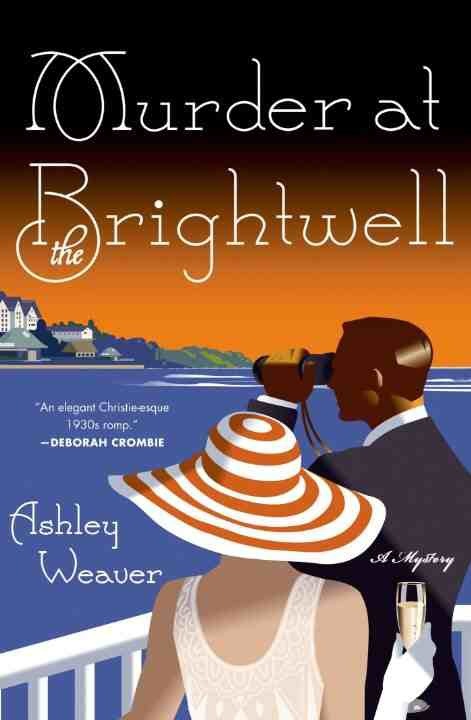 1930s England, vacationing at the shore, a rocky marriage, social climbers, and a MURDER! This reminded me so much of Agatha Christie, but with a contemporary bent. The inclusion of romance and implied social commentary on marriage… brilliant. Love, hate, selflessness, mayhem, sweet nothings … You get much more than a mystery with Murder at the Brightwell.